Awesome, you made a great investment with the New Subscriber Sales System special offer! My Email List Profits special report where I show you exactly how I make money with with email marketing. This works no matter how big or small your list is. As a matter of fact, when I first started online I made over $15,000 in one week with an email list of only 1,286 subscribers! That's the power of having a responsive email list. If you build a responsive email list and treat that list with respect, and help your subscribers whenever you can, you'll never have to worry about making money online every again. It's your golden ticket - the most valuable asset in your entire online business. The only REAL push-button income stream I can think of. You'll need to put some work in, but the rewards are HUGE. A while back I needed a few major repairs on my car (it’s unbelievable what they charge; maybe I’m in the wrong business!) and a few other things; so I sent out a couple of emails to my list - three at most for this particular promotion - and was able to cover all the unexpected expenses, and then some. I simply did a special promotion for one of my products over the course of a few days - and the problem was solved. All because of my responsive email list. And the great news is you don't have to have a big list to get great results. It's the quality of the list that's much more important than the number of people on the list. As an example, I was able to generate over $15,000 in less than seven days with an email list of only 1,286 people! ...because for most people (who have never experienced this type of lifestyle or success) it sounds like complete hype and B.S. But I assure you, the examples I give are 100% true and attainable. I've done this multiple times and have worked with clients so they can do the same. Anyone who already has a responsive mailing list already knows what I'm saying is true. You REALLY CAN send out one email and then take the rest of the day off knowing your bills and expenses are covered and you're already making a profit. Ever wonder why email marketing is still as popular as it was 10 years ago? Because it's a real, consistent way to make a seriously good full-time living online IF you do it right. The reality is not all email list owners can do this - at least not on an ongoing basis. ...then you'll have a source of income for as long as you wish. Why would you NOT have a mailing list? I've personally seen Adsense™ Marketers go from over $10,000 a month to zero almost overnight because some search engines changed how they rank websites. I've seen some people who were getting millions of visitors a month from YouTube™ lose their channel (for no reason at all) and have their business destroyed overnight. I've seen SEO experts watch their money sites vanish from rankings in days when Google® does an update, never to return. And I've seen Facebook® pull ad accounts that were spending (and making) tens of thousands of dollars a month (again with no explanation whatsoever). But if you have traffic on tap in the form of a responsive mailing list - an audience you can contact easily and with minimal costs - then no matter what happens, you're going to be okay. That's why I've been teaching (for years) the importance of building and managing a highly responsive email list. The most valuable asset in your business which you have full control over. It's simply NOT ABOUT throwing up a squeeze page up any more and getting as many people as possible onto an email list. And it's certainly not about hammering that list with email promotion, after email promotion, after email promotion once you get them onto your list. It's about the quality of the list and the relationship you maintain with that list. I'll show you how to avoid the fundamental mistakes that cause many (if not most) email marketers to "burn out" their lists leaving them with little or no income. It is not just a "numbers game" any more! I'll show you exactly how you can make some simple decisions at the very START of your list building venture that will instantly put you ahead of most of your competition. And I'll show you how you REALLY CAN get to the stage where you send out an email in the morning then take the rest of the day off and STILL earn more than most people do working a full-time 9-5 job. 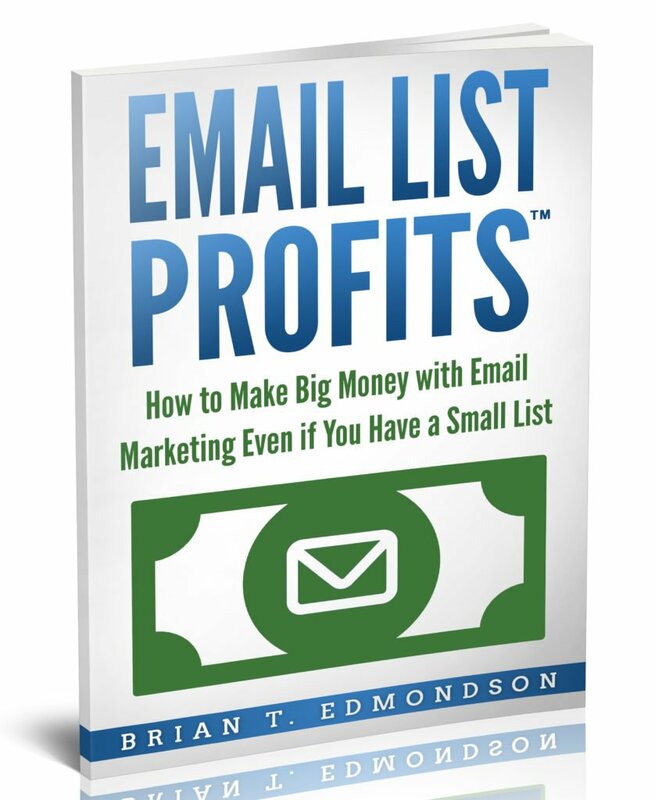 Inside the Email List Profits™ special report, you'll get 35 pages of my no-fluff strategies for building highly responsive, highly profitable email lists based on your own needs and your own business. It's something that you're very unlikely to stop using once you see how powerful it is. I never have, and the successful marketers out there that I DO see using it never stray very far from it either. For me, even though it's such a simple concept and process, it's been absolutely life-changing. This is NOT a "how to build a funnel" strategy (which quite frankly are over-complicated and cause more confusion and inaction if anything). This special report shows you how to build '"the unicorn of online marketing"... that rare thing that is a RESPONSIVE EMAIL LIST you can make a full-time living from. 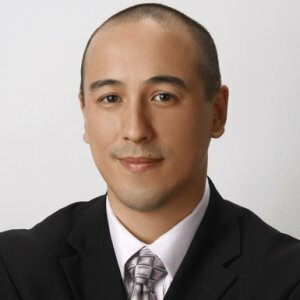 I'll give you examples, URL's, real-life stats and I'll show you how I do it, and more importantly... how you can do the same. This is about how to treat your list, establish trust, build relationships, and make your list more responsive than 90% of the email lists out there. This is the exact reason I was able to outsell other "big name marketers" with email list sizes of 10,000... 50,000... and over 100,000 subscriber - with a list of only 1,286 people! Whether you're a coach, consultant, information marketer, product creator, affiliate marketer, blogger, a "bricks and mortar" business, or service provider... having traffic on tap from following these strategies can take your business to where you want (or wish) it to be. How to make massive amounts of sales without being spammy! How most marketers blow their entire credibility in just one email! Why Am I Making This Available? There are some things that are hidden in plain sight, but if you don't spot them for yourself you're not going to make much progress no matter WHAT you do. So this is my way of giving you an unfair advantage, in the way people have helped me in the past. Let me spotlight what works for you. I'll show you exactly what to do (with examples) and how to do it... no matter what market or niche you're in. I'll show you how to get started quickly with this so you can move forward and start implementing these simple, but powerful strategies into your own business right away. Most people stay trapped where they are because they sit around and complain and yet do nothing to change their situation. This is slightly different. This is a case of you either know this info or you don't. It might be years before you stumble over this simple technique and figure it out yourself... or you can learn from my own trial, error, and success and start seeing results right away. Either way, I would bet money that you'll never stop using it once you see how powerful it truly is. Wishing you success in business and life. P.S. Do you think it's going to get harder or easier to make money online with email marketing? The competition is getting stiffer every day. Fortunately for you, most of your competitors just aren't aware of how well this email marketing technique works...and if they are, then they're doing it wrong. You on the other hand are about to find out how deadly effective a simple change in your email marketing strategy can be on your business and your bottom line.